WE ARE AN INDIAN NETWORK MARKETING COMPANY, PROVIDING INSURANCE & MEDICLAIM SERVICES WITHOUT PAYING PREMIUM TO OUR MEMBERS THROUGH OUR SYSTEM. 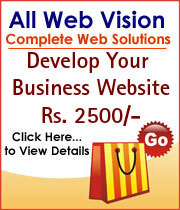 WE ALSO OFFER WORK FROM HOME OPPORTUNITY TO ALL INDIANS AT THEIR CONVENIENCE. Address: F-135, LATIFF PARK, S.K. STONE JUNCTION, MIRA-BHAYANDER ROAD, MIRA ROAD (EAST), THANE-401107, MAHARASHTRA, INDIA. We are into market research since 7 years catering all the eminent corporate and industrial brands. Managed by Mrs.Shweta Sandeep Sharma a renowned personality in Reasearch Industry. I am a computer teacher and can teach computers to kids during vacation. Web Hosting,Dedicated Server, Virtual server,Web designing,SEO,SSL certification,website maintenance.Computer Reparing,Home & Office AMC. guarding service to the offices,residential,factories and events and body guards with or without arms.